"You need to give right or wrong to each simple math equation in a limited time, and try to be ""right"" as many time as possible. 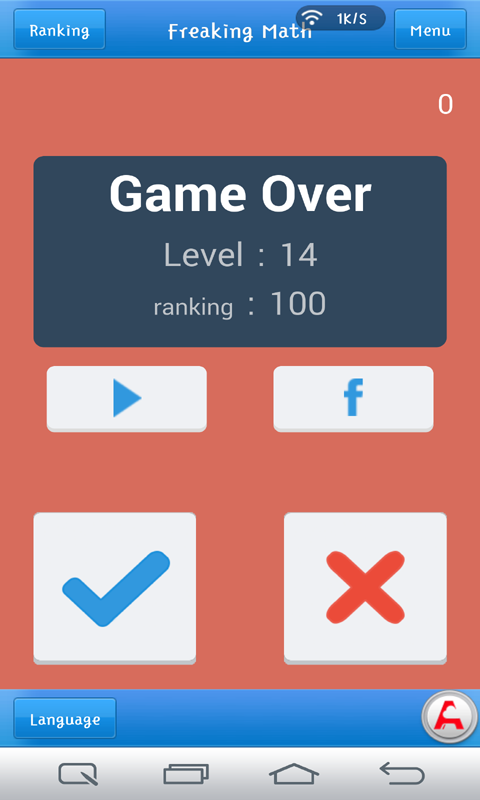 Play to see how long you can keep your game going. 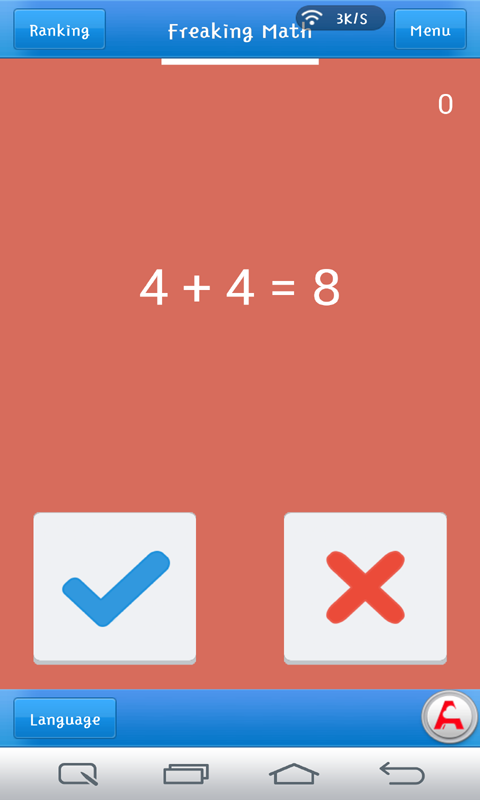 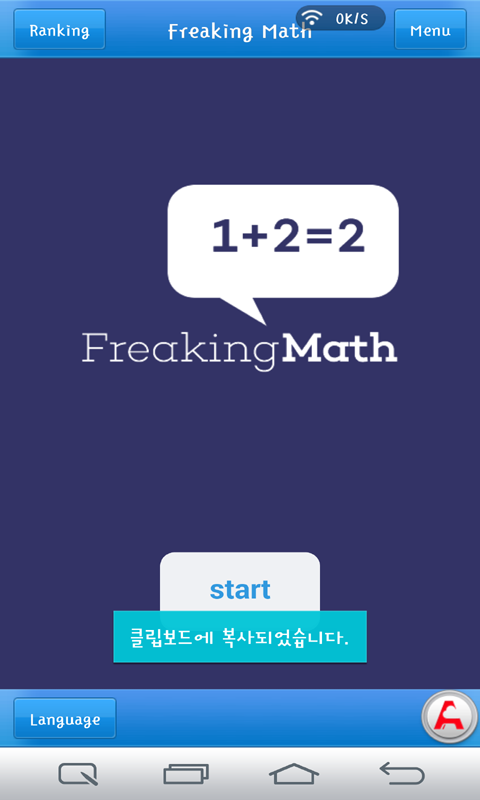 Features: Two buttons, right or wrong Solve each problem within a time limit to get to the next problem See how you rank among the other players"